visit them in their own home. I have looked after all age range cats from pregnant and nursing cats and new born kittens up to very senior(our last cats lived until they were 20 and 22+ years)I have a good size 4 bedroom house with a safe good size garden with 6 foot fence and locks on the gate. 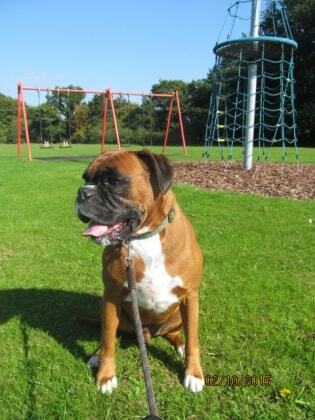 we live beside fields and a park which is great for the dogs to have a run and play fetch and we often walk to woods. The country side fields are a 5 minute walk from our house and they lead to a lake where my puppy and the dogs I look after can have a swim if they want when we are there. Please note that once you contact me and a meet and greet has happened day(s) and dates need to be booked and bookings have to be comfirmed and accepted by myself. I would like to stress the importance of making the booking as soon as possible after the meet and greet to guarantee the day(s) you are wanting as I am unable to horour day(s) that you are wanting unless a booking is made. Please accept that bookings that haven`t been booked and are left as contact even after a meet and greet, is not a booking. As I have many pet owners who contact me and then I don`t hear anything else from them and also many pet owners that come for a meet and greet and then I don`t hear from them again or they contact me a few weeks before their holiday or day out expecting me to have their pet(s)booked in for them which I can not do without a booking being made in the first place so I do suggest as soon after the meet and greet, a booking needs to be, if you are wanting me to look after your beloved pet(s) Availability is likely to change so I would strongly advise a pet owner as soon as possible to avoid disappoint.Also returming customers if you send me a enqiry for dates and I am able to help. then please book as soon as possible as booking is not guaranteed until after a booking has been place. I am 41. I have been walking other peoples dogs for over 30 years now and have 25 years of experience of pet sitting either in my home or at the pets home. I have trained in pets first aid. I have been brought up with pets,rabbits,cats,gerbils and dogs just to name a few. Since starting my own family 23 years ago we have always owned animals especially dogs. I love spending time with animals.